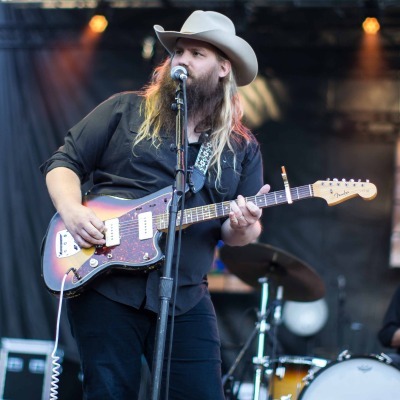 ACL Live At The Moody Theater will be rocking with a concert by Chris Stapleton. ConcertFix has a great selection of seats starting at $48.00 for the PARKING section and range up to the most expensive at $688.00 for the Balcony Section 1 section. The concert can be seen on April 25, 2019 and is the only Chris Stapleton concert scheduled at ACL Live At The Moody Theater as of right now. We only have 42 tickets left in stock, so secure yours today before they completely sell out. Purchased tickets come with a 100% moneyback guarantee so you know your order is safe. Give us a shout at 855-428-3860 if you have any questions about this exciting event in Austin on April 25. Chris Stapleton will be stopping by ACL Live At The Moody Theater for a huge performance that you can't miss! Tickets are on sale now at good prices here at ConcertFix where it's our job to get you to the concert even if it's unavailable at the venue. We want you to see the show from up close, which is why we are a leading seller for front row and premium seats. If you need them last-minute, look for eTickets for the quickest delivery so you are able to get them sent to your email. All purchases are made through our safe and secure checkout and covered with a 100% guarantee. Right when is the date for the Chris Stapleton show in Austin? Chris Stapleton is scheduled to have a concert 2 events in Austin, the first being on July 6. More performances for Chris Stapleton in Austin will include July 4 12:00 PM. Which other performers are performing with Chris Stapleton at the show in Austin at ACL Live At The Moody Theater on July 6? Currently, Chris Stapleton is booked to play with Outlaw: Celebrating The Music of Waylon Jennings, Sturgill Simpson, Ryan Bingham, Kacey Musgraves, Jamey Johnson, Shooter Jennings, Eric Church, Lee Ann Womack, Billy Joe Shaver, Kris Kristofferson, Willie Nelson and Toby Keith in Austin at ACL Live At The Moody Theater.